Madeline has a Diploma in Applied Science and a Bachelor of Nursing from the University of Technology , Sydney. She started her nursing career at Hornsby Hospital. From her second year out she has been an Intensive Care Nurse. She gained first place in her Intensive Care course at John Hunter Hospital in Newcastle; this unit specialises in both adult and paediatric critically ill patients. Madeline returned to Sydney and worked at Hornsby Hospital as a Clinical Nurse specialist in Intensive Care, with two years as the Intensive Care Nurse Educator. Madeline started Hills Family General Practice with her husband Dr Jammal in 2001. She has been a member of the Australian Association of Practice Management(AAPM) since 2002, she is a certified Practice Manager with AAPM. In 2016 Madeline completed a Diploma of Practice Leadership at UNEP.In 2017 Madeline was awarded the Barbara Meredith Memorial Award for this study. Madeline is the 2017 NSW/ACT AAPM Practice Manager of the year. Madeline is happy to hear any feedback about the surgery. Please talk to her or please give up feedback via a quick survey on the tablet in the reception area. 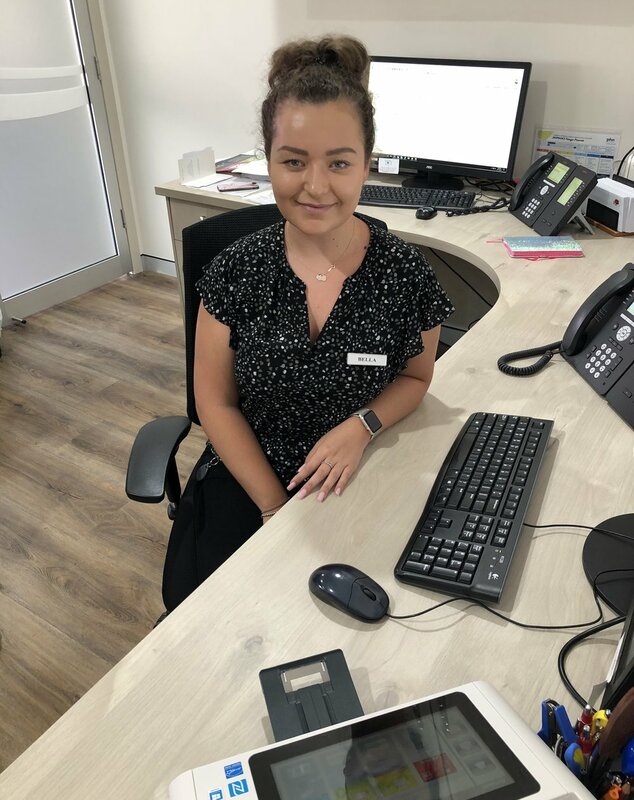 Caitlin started working here at Hills Family General Practice in September 2017. She has worked as a medical receptionist for 2 and a half years and has completed a Certificate 3 in Business Administration and medical terminology. She is always happy to help with any enquires that you may have. Bella started here in January 2017. She has been working in customer service for 4 years which has enabled her to grow and work well as a team player. She is friendly, approachable and is always willing to assist our patients to the best of her ability. Bella has also started her new role as a Medical Practice Assistant. This will allow her to work with the clinical side of the practice, assisting patients with a number of tasks such as dressings, INR’s and other procedures. She is looking forward to being able to further attend to the needs of all patients in a more in depth way, as she will gain a better understanding of how things run behind the scenes and how to look after the patients here at the practice beyond the front desk. Chloe started at the practice in November 2018. She is currently studying a Bachelor of Sport and Exercise Science at Western Sydney University and hopes to further her study to become a Physiotherapist. Chloe loves working with people and always happy to help when ever she can. Rachael started at the practice in April 2017. She is currently studying a Bachelor of Paramedicine at the Australian Catholic University and hopes to become a paramedic with the NSW Ambulance Service when she graduates. Aspiring to further her study in order to become an intensive care paramedic n the future, Rachael is motivated to help people in need. She is always kind and caring towards patients and happy to help in any way she can. Kate started at the practice in November 2018. She is currently completing her Certificate and Diploma in Design, motivated to complete her Master’s degree at Enmore Design Centre with aspirations to work both free-lance and within a company employed as a graphic designer. Kate is always determined to make sure all patients feel welcome constantly prepared to assist in any way she can. Minu started here in November 2018. She has just finished her Bachelors in Biomedical Science at UTS and will be starting her Masters degree in Speech Pathology in 2019. She would like to pursue her passion for helping adult and children overcome communication and speech difficulties. Minu is very welcoming and friendly towards all our patients.